Summer and music go hand in hand. We partnered with Bose to bring you a list of things to do this season if you're all about the tunes. For music-lovers, there's no better season than Summer. Outdoor concerts, music festivals, and traveling fill this time of year with nonstop excitement. But how is one supposed to experience so much in only a few short months? To make it a little easier, we've put together a bucket list of events and activities that all revolve around music. Fire up those speakers, you're in for one song-filled Summer. Chicago's Lollapalooza is a go-to stop for all types of music enthusiasts. The four-day festival features everything from hip hop to EDM, and tickets are still on sale. If you haven't heard by now, Beyonce's Formation tour is taking the world by storm. Find out if Queen Bey is coming to a city near you here. For those in the New York area, Electric Zoo (taking place in early September) is the perfect way to close out the Summer season with a lineup including Tiesto and Steve Aoki. West coast dwellers have Outside Lands Music and Arts Festival in San Francisco at Golden Gate Park. Awesome music from artists like Zedd and Lana Del Rey with an even more awesome view? Can't do better than that. One of the most awesome venues in the country is Jones Beach Theater on Long Island in New York. It combines music, sand, and surf for an unparalleled experience. We're gearing up for Dave Matthews Band and Gwen Stefani! Kurt Cobain Memorial Park in Washington state is a must for Nirvana fans. Bring your portable speakers and listen to a '90s grunge playlist or the band's Nevermind album on repeat. Woodstock is famously known as one of the most pivotal movements in music history. Today, visitors can walk the grounds in upstate New York and get nostalgic by listening to classic '60s tunes. Graceland in Memphis, TN, is where Elvis Presley superfans flock to remember the music legend. Make sure to blast some of his greatest hits on your way there. In Seattle, you'll find The Experience Music Project, which is a museum devoted entirely to music and pop culture. For the ambitious wanderers out there, take a cross-country road trip and stop at one iconic concert venue or music hall in each city you pass. 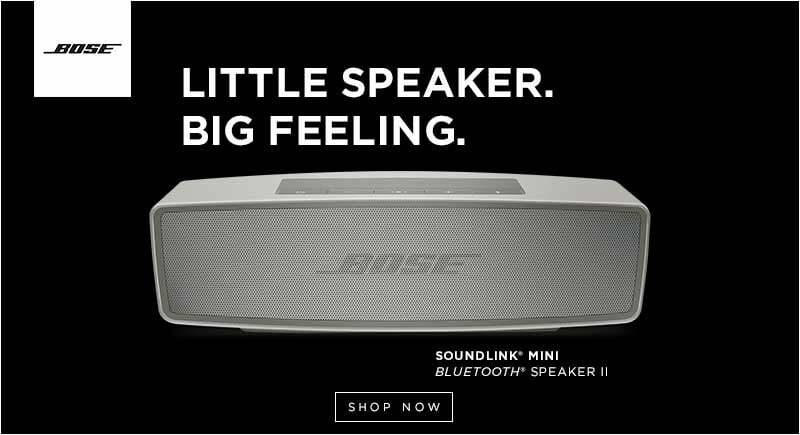 Learn more about the Bose SoundLink Mini!